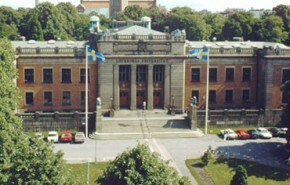 The University of Gothenburg is a traditional European University. With approximately 37,000 students, it is one of the major universities in northern Europe. It is also one of the most popular universities in Sweden – the University of Gothenburg has the highest number of applicants to many programmes and courses. A small city or a large town? Gothenburg is somewhere between the two: big enough to offer the buzz of the city and plenty of activities, but small enough to feel intimate, with natural meeting places for all the students who study here. Gothenburg has more students than any other city in Sweden. But it’s more than just a student city. With more than half a million inhabitants, this is also Sweden’s second largest city. The city is defined by its harbour and its proximity to the sea, but there is also a wide range of culture, sports and major events. The city offers unique opportunities. You can choose to lead a typical student life, with fantastic study facilities, cosy cafés, student parties and communal student accommodation. But you can also take part in the various events and the diverse cultural scene that Gothenburg has to offer.